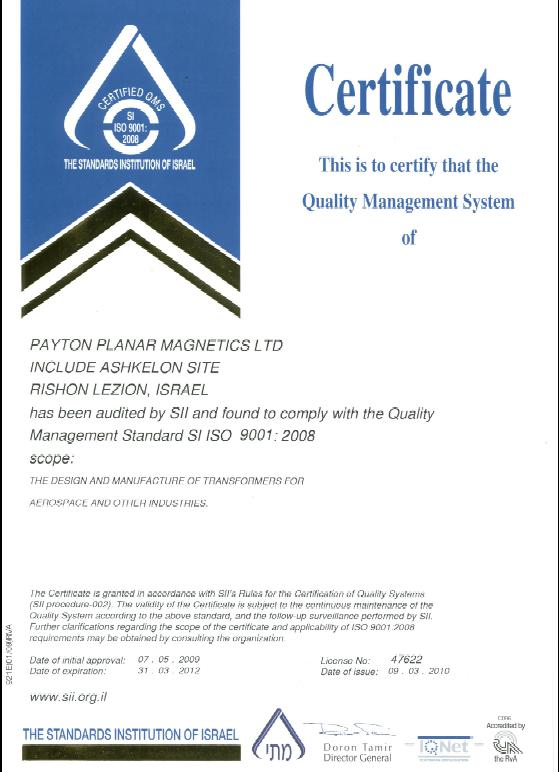 Payton, is an international group of companies handling and promoting magnetic components, with sales offices and plants in Israel, Europe, United States and the Far East. As a global leader of both conventional and planar transformers, with more than 15 years of research and development experience, Payton offers a wide range of custom designed products that meet all the requirements and standards for a variety of specific product applications. The company's unique patented technology used in designing planar magnetics (Planetics®) will reduce the size and weight of present transformer by up to 80%, while increasing the product efficiency and its power density. 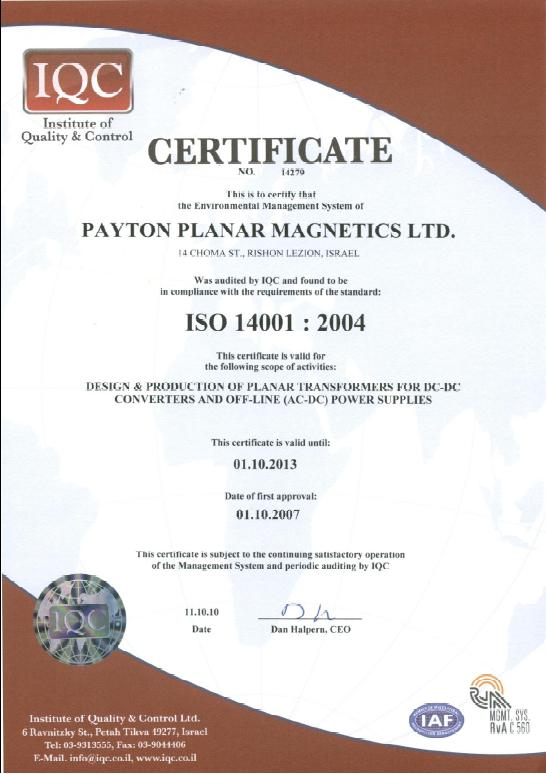 Payton developed a proven winning technology that is evident in the superior quality of its conventional and planar transformers. 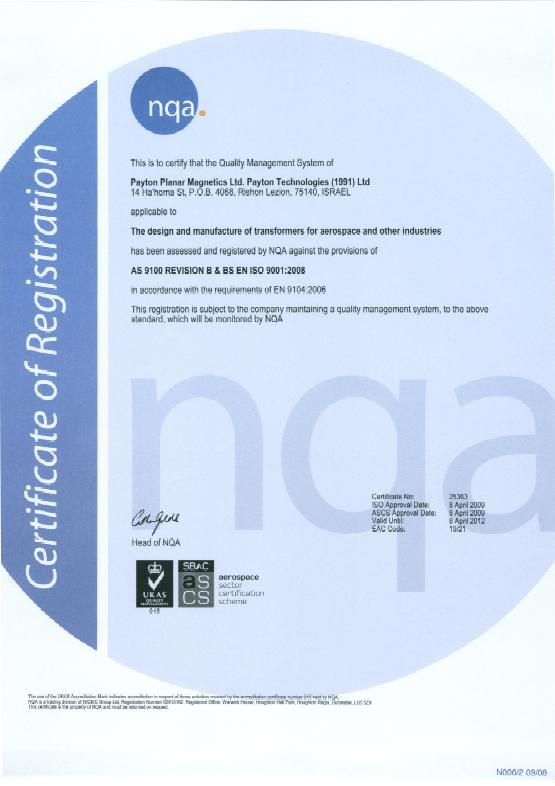 This technological breakthrough is continuously enhanced by our devotion to further research and development that will enable Payton to meet and exceed customer's expectations. 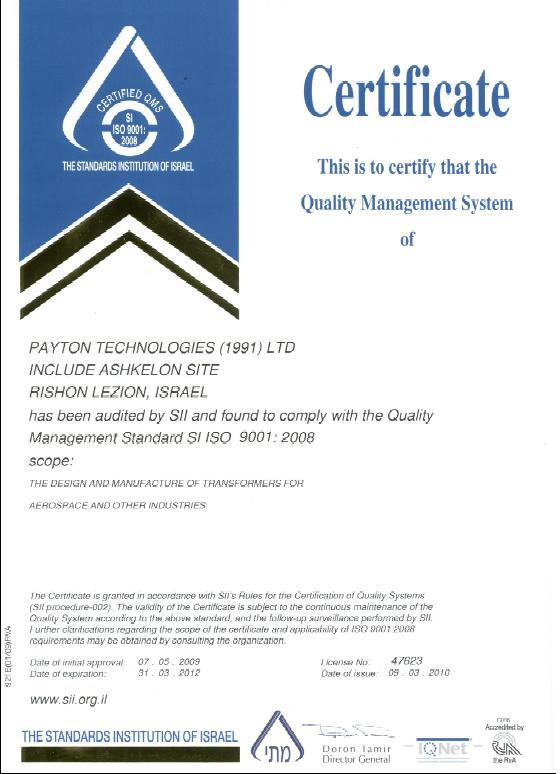 Payton is ISO 9001 and ISO 14001 certified. 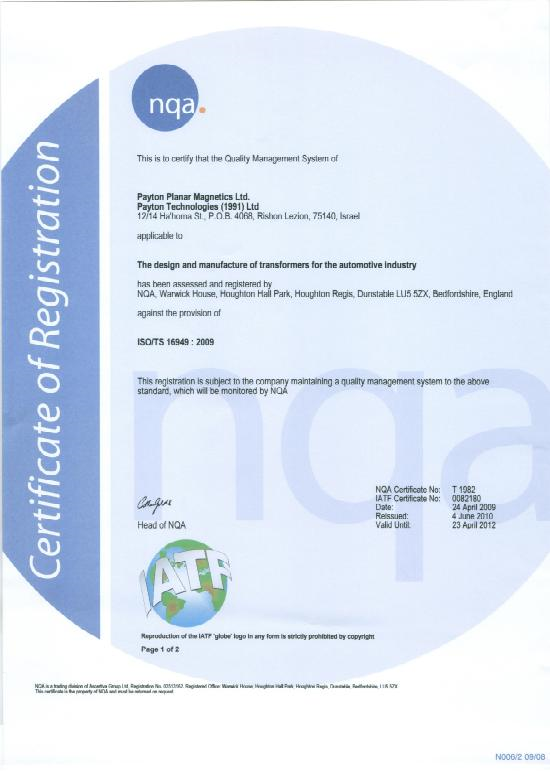 Payton is a Member of Power Sources Manufacturing Association.